Are you ready? 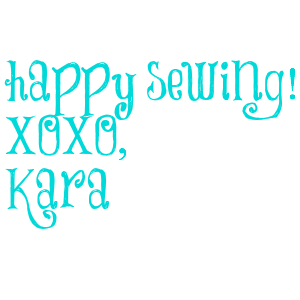 Let's get our sew on! 1. You will need to purchase the A Line Yoga Skirt and the Basic Leggings to make the Running Skirt. 2. 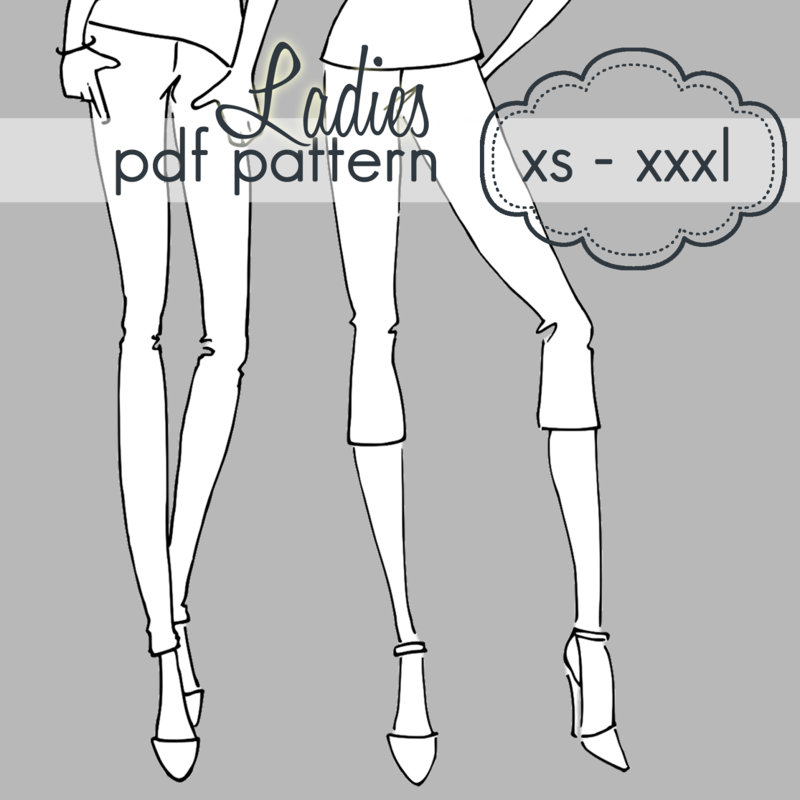 Print, cut and tape the pattern together. 3. 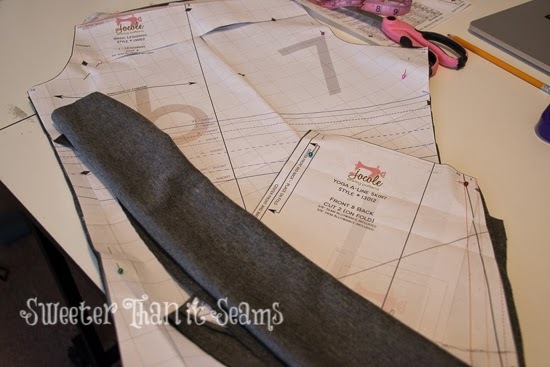 Cut the fabric for the pants and skirt in the desired size. 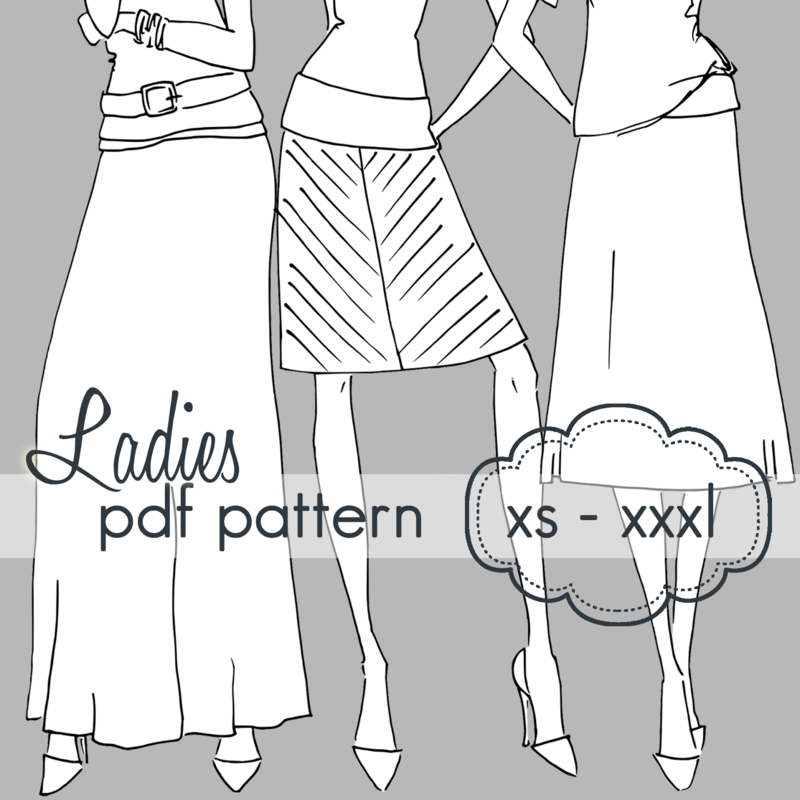 - Cut the skirt to the desired length. I cut my skirt at 13 inches for a size small. You can cut it shorter later if you decide you need to but you can't make it longer. - Cut the leggings at the capris length. 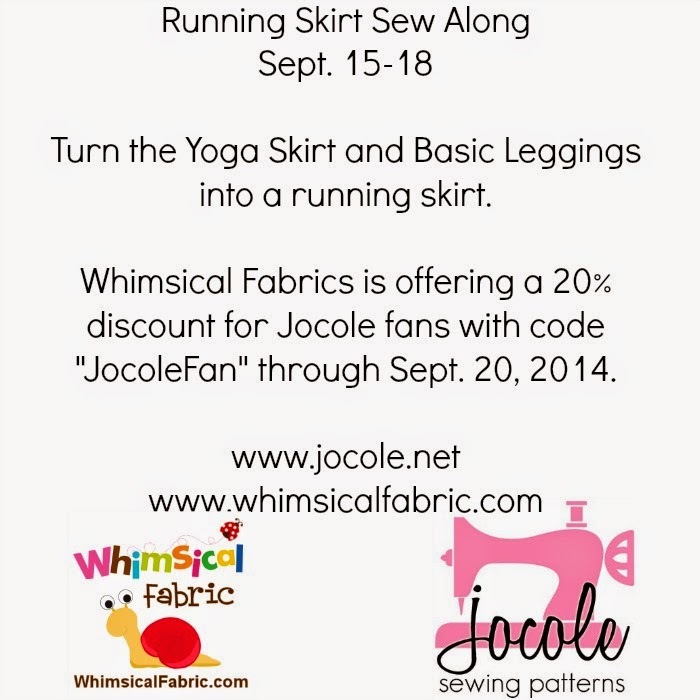 Don't forget that there is still a coupon code at Whimsical Fabric just for Jocole fans!